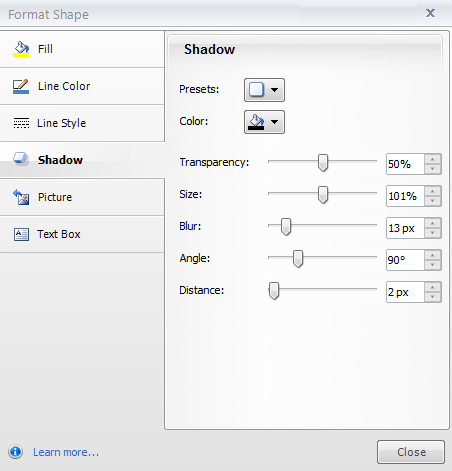 This tutorial covers the Shadow options on the Format Shape or Format Picture window. Here’s an overview of the other formatting options you can select on that window. 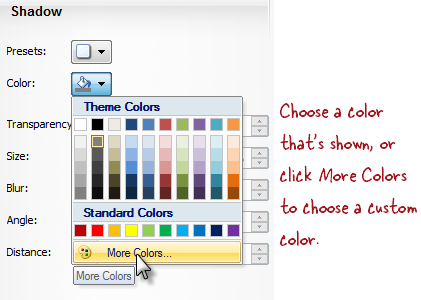 Here, you can choose one of the ready-made shadow options that Storyline provides. 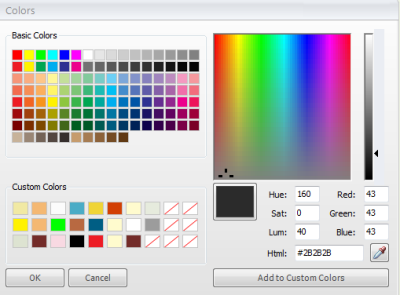 If you choose one, you can further customize your shadow settings with the other fields on this window. For any of these options, drag the slider or enter a value in the field.